matchHeight makes the height of all selected elements exactly equal. A smooth dropdown menu for responsive web design. Curving Text with CSS3 and jQuery. Background Blur is a small plugin for blurring images. jQuery.customSelect is a jQuery Plugin for custom styled select boxes. A plugin to enlarge images on mouseover or mousedown. Tooltipster is a lightweight jQuery plugin that enables you to easily create clean, HTML5 validated tooltips. Grid-A-Licious is a fully responsive and floating Grid System for „Pinterest-Like“-Layouts. A mobile-friendly, responsive, and lightweight jQuery dateinput picker. Motion is a jQuery plugin for simple but powerful sprite based animations and panning. 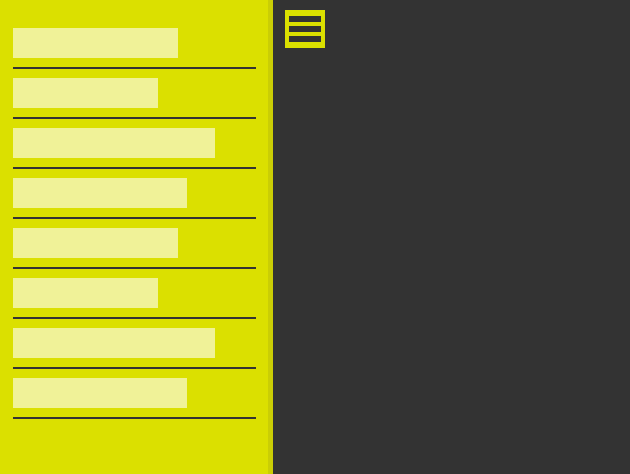 typehead.js is a jQuery Plugin for building smart auto-complete form fields. Chardin.js is a jQuery plugin that creates a simple overlay to display instructions on existent elements. A jQuery tabs module that can be used with any contents. A CSS3 and jQuery Filter & Sort Plugin. A jQuery plugin to add realtime preview panel to textareas. A simple jQuery plugin that searchs for SVG images and creates PNG versions if the browser doesn’t support SVG. TextTailor.js made text to fill the height of the parent element or ellipse it if it doesn’t fit. Typed.js is a jQuery Plugin to animate text. Animsition is a jQuery plugin for CSS animated page transitions. Dense.js is a jQuery plugin to serve device pixel ratio aware images. CoverVid is a jQuery Plugin to make covered background videos. BttrLazyLoading is a Jquery plugin that allows your web application to only load images within the viewport. fontFlex is a lightweight jQuery extension for dynamically changing font sizes according to container or browser width. Style and design the first, second or both halves of a character. Rollerblade.js is a jQuery plugin for creating an interactive 360º image rotator. animatedModal.js is a jQuery plugin to create a fullscreen modal with CSS3 transitions. Avgrund is a jQuery plugin for modal boxes and popups. jQuery Builder lets you easily build a custom version of jQuery that just includes the modules you need. Datedropper is a jQuery plugin that provides a way to manage dates for input fields. Autosize is a small, stand-alone script to automatically adjust textarea height to fit text. Chocolat is a responsive jQuery lightbox plugin. jQuery Marquee is a jQuery plugin to scroll the text like the old traditional marquee. Lazy Line Painter is a jQuery-Plugin that makes animations out of your SVG files.